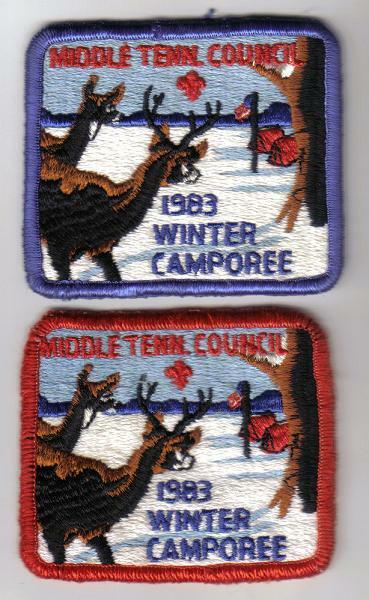 The blue border was the standard patch issued for this event. Not sure what the red border patch is. Perhaps an error?